Martin I. Aarons has been an employment law trial attorney for 13 years. He, along with his associate Shannon H.P. Ward, handles discrimination, harassment, and retaliation cases of all kinds, shapes, and sizes. 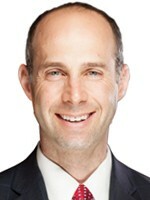 Martin is a member of the Consumer Attorneys Association of Los Angeles, serving on the Board of Governors. As part of CAALA, Martin was a finalist for the 2015 Rising Star Award, received the Presidential Award in 2013, and the Steven C. Glickman Award in 2012. Martin has also served as chair of the CAALA New Lawyer’s Group and was co-chair of the 2015 and 2016 Annual Las Vegas Convention.